Sometimes it’s impossible to work in an environment where your CCTV monitoring is kept in an area separate from staff, for example, in bars, pubs and restaurants, on construction sites and any other workplace that can be fast-paced and lacking the space to have a separate area for your monitoring screens. Naturally in these instances curiosity can kick in, and before you know it your staff are regular viewers! Watching CCTV footage back of your fellow workers can be funny; often there is something comical that occurs through the day and it’s almost irresistible not to quickly rewind the footage and have a joke about it with your co-workers. There’s no harm in that. However, as an employer you need to be aware of where the line has to be drawn with CCTV; including sharing content over social channels without permission. CCTV footage is considered as personal data under the data protection act, and the act is explicit in saying that CCTV images can only be released for legal reasons and absolutely shouldn’t be put on the internet for entertainment purposes – this includes social media. As such it is important to exercise the proper measures and restrictions when it comes to usage of footage. If you find footage of someone behaving in an illegal manner, report it to the police and allow them to handle the investigation in a proper manner. Take vigilante justice by posting videos onto social media channels asking for information; this can be considered as a breach of data protection and an illegal act in itself. Have a friendly laugh with co-workers over footage of each other as long as this is intended in an amicable way. Share footage of a co-worker embarrassing him or herself at their expense. If this makes it’s way onto social media channels or into the public eye, there may be legal implications, not to mention the negative effect on that persons life. Have respect for a CCTV monitoring system as a method of security and protection. Treat CCTV footage and monitoring screens as a reality TV show intended to spy upon and “catch-out” fellow co-workers as this is not the purpose of CCTV. 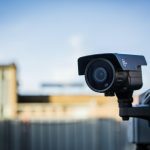 Following these simple rules allows everyone to know what the boundaries are with CCTV footage – and keep you safe from legal battles that can come from breaches in the Data Security Act.